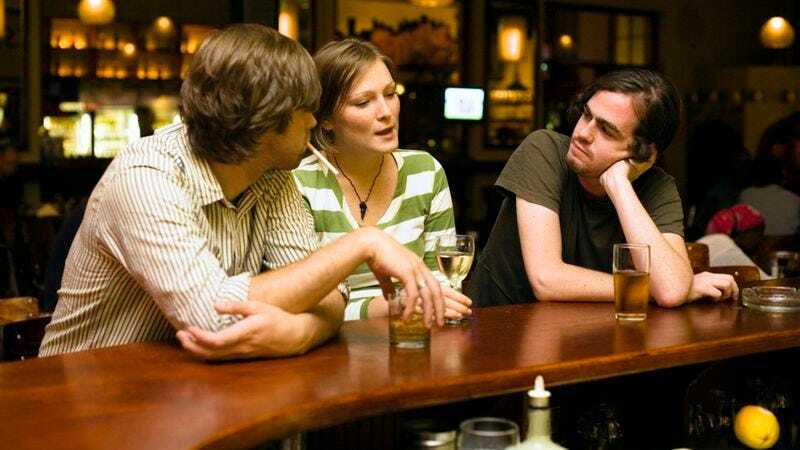 BALTIMORE—Welcoming their trip to local bar Cavanaugh Tap House as a much-needed change of pace, a group of friends expressed their excitement Thursday at the opportunity to sit around and do nothing in a completely different setting, sources confirmed. “When we all get together at someone’s apartment, we usually just spend the whole night hanging around and drinking on the couch—it’s great to get out of the house to do our sitting and drinking someplace else,” said Neil Evanson, echoing the sentiments of his companions, who were all similarly happy to be making sparse conversation and scrolling through their Twitter feeds at the bar rather than doing so in a living room or on a front porch. “Doing absolutely nothing at home on Friday nights can be fun, but it just doesn’t beat doing the same thing in an environment where we’re surrounded by strangers and have to pay gratuity.” At press time, Evanson and his friends were ordering another round of the same drinks they currently have in their refrigerator.